Each year, Heels Together awards grants for programs to enrich the lives of women and girls in our community. Organizations must qualify under IRS Code Section 501(c)3 with at least one full year of financial records are eligible to apply for a Heels Together grant. Applicants are required to submit a Letter of Intent to Apply by July 1, 2019, and include the total amount to be requested. While the grant’s purpose is not to fund an organization’s salaries, requests of up to 30% of the total project will be considered for salary use. A mid-year status report is required from organizations who receive a Heels Together grant. Organizations are not eligible to receive a Heels Together grant in consecutive years. Heels Together awarded $22,000 in grants at its annual Investors’ Banquet. This year, two local organizations were presented grants at the fourth annual 2018 Heels Together Investors’ Banquet, which was held Nov. 1, 2018, at the Elizabethtown Tourism and Convention Bureau Visitors Center in Elizabethtown. Receiving the most votes, The Community Health Clinic was fully funded at $15,000 for its Women’s Health Initiative. The program will take a multifaceted approach to women’s health. As a key to being self-sufficient, the program plans to address underserved women in becoming healthy, which in turn will promote confidence, self-reliance and independence. 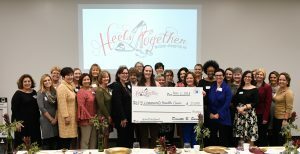 “This money will help tremendously, and we are so thankful to Heels Together,” said Becky Allen, director of the Community Health Clinic. “We can definitely make a dent in women’s health care needs. We can make a dent in the number of women who would otherwise go without care. We will be able to help some women with dentures, but we can definitely make a difference in some women’s lives. Coming in second in the voting was Warm Blessings. They were awarded $7,000 for its Ride to Independence program. The program addresses inadequacies for women and families by providing transportation in to remove barriers for those living in poverty who have a job or are seeking one, but do not have reliable transportation. The grant awards were made possible by local women who make a $1,000 annual gift to support initiatives, such as the ones awarded at the banquet, that benefit women and girls. “What I love is that we had four presentations. We vote right then after the presentation and give the money right then. 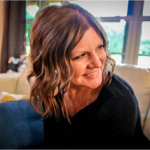 You are making that difference with that money,” Investor Mika Tyler said. “But we need investors. There were four presentations and we wanted to fund them all, but you only have so much money. “I was telling some of the others, last night was the hardest year we’ve had, and this is our fourth year of doing this,” she added. Grant finalists will pitch programs to Heels Together investors at its annual banquet Thursday, Nov. 1, 2018, at Elizabethtown Tourism and Convention Bureau Visitors Center, 1030 N. Mulberry St., Elizabethtown. 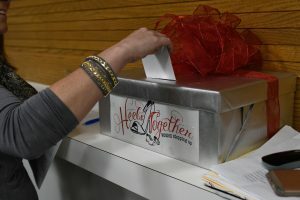 Heels Together was established as a Central Kentucky Community Foundation initiative in 2014 by a group of community-minded leaders who wanted to invest in long-term solutions for transforming the lives of women and girls and improving the well-being of our entire community. Heels Together focus’ on women-led solutions by providing leadership and stewardship in identifying the needs and supporting solutions for women and girls. It’s a catalyst, identifying challenges, marshaling resources and pursuing opportunities in Central Kentucky. Annual grant-making puts our beliefs and desires for women and girls in our community into action today. Heels Together is supported by a $1,000 annual gift from individual investors. Half of the investments are set aside in an endowment fund, and half are used for annual grant-making. At the yearly Heels Together banquet, investors have the opportunity to see presentations from grant finalists and vote to select the winning grants. Together, we can unite money, ideas and actions to create lasting change for females and their families. Thanks to the generous support of the following underwriters, 100% of investor gifts go to Heels Together to benefit women and children in Central Kentucky – today and forever! Heels Together – Join Us! Heels Together strives to connect women and girls with resources that bring health, hope, education and enrichment. Join us and help grow the Heels Together endowment and grant-making abilities. Heels Together is supported by a $1,000 annual gift from each investor. Half of the investments are set aside in an endowment and half are used for annual grant-making. The endowment, a fund which preserves the initial investment and only spends the earnings, provides for the forever impact of Heels Together. At the yearly Heels Together banquet, investors have the opportunity to see presentations from grant finalists and vote to select the winner. We believe that when a woman is successful, her community is strengthened. Join us in strengthening our community! If you have a passion for improving the lives of females in our community and want to learn more contact Davette B. Swiney, President/CEO at dswiney@ckcf4people.org or (270) 737-8393. 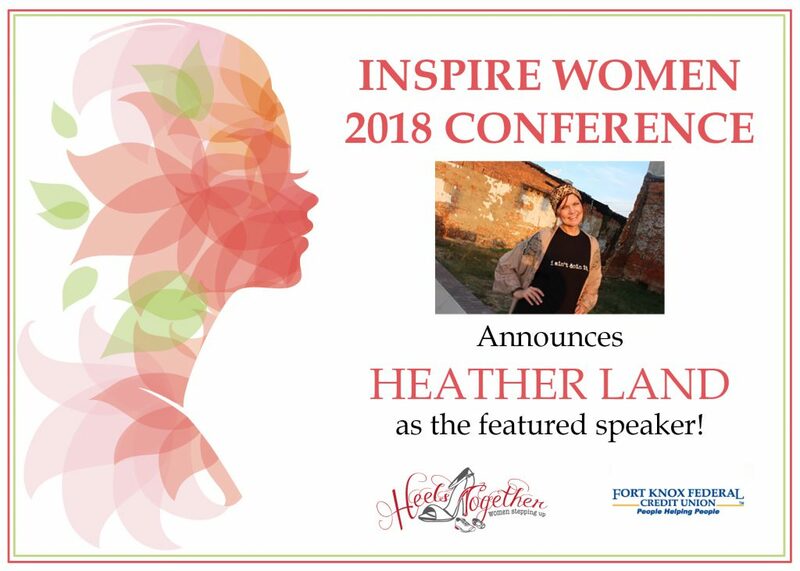 Heather Land, blogger and YouTube star of the ongoing series “I Ain’t Doin It,” will be the featured speaker at the 3rd annual Inspire Women Conference. Land brings a message of inspiration and hope along with her witty sense of humor and knack for making people laugh. Several local speakers will also share their heartfelt experiences with Heels Together, an initiative focusing on improving lives of women and girls. This year’s conference encourages women to take a greater role in changing the course of their own lives as well as being a force for change in our community. Heather Land has a knack for finding the funny out of the frustrating. Leaving no stone (or people) left unturned, she hilariously unravels everyday events that cause us to laugh not only at each other but more often than not, ourselves. From ex-husbands to failed diets, her ability to deliver consistent comedy in a self-deprecating style has made her adored by millions of people of all ages. 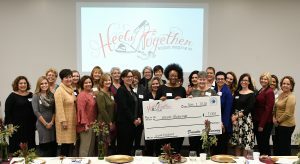 Inspire Women Conference is presented by Heels Together, an ongoing community initiative working through the Central Kentucky Community Foundation. Inspire Women 2018 Conference is made possible by our event sponsor.